People made mods for Minecraft since it was first released back in 2009. In the first days of Minecraft, there was just one game mode and they modified it after their own creativity or needs, to improve the quality and user experience when they play the game. The first mods for Minecraft only had the ability to add blocks and tools, but nowadays, after a great time of modding development, everything changed and became more and more detailed. The modders surprise us every time when they release a new mod, just because they put all their creativity into it and manage to build complex mods. That’s not just changing the way you play Minecraft, but also changes it completely. At the beginnings of Minecraft when the developers created the mods, they needed to make a program to make them works and for this reason, they developed Modloader. 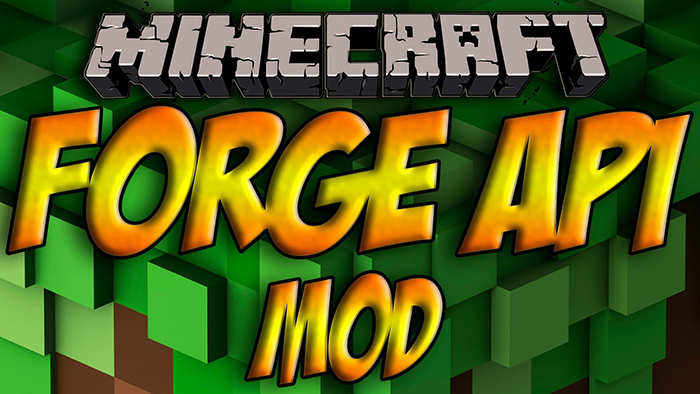 The Minecraft Forge API for Minecraft 1.8.x/1.8/1.7.10 was developed for two reasons: First, to allow you to run mods and the second reason is to optimize the mods perfectly into Minecraft by improving and exchange the gameplay even into the inside or outside worlds. Modloader and Minecraft Forge are at the same equality now, but in the future, the Minecraft Forge will be more used than mod loader. Minecraft Forge API was created not just to replace the Modloader but also to show players which mod they have installed and which mods are working correctly. Even when you will install the Minecraft Forge API you will see a unique GUI to make your mod more efficient and intelligent. When you choose “Mods” category from Minecraft Menu, there will appear a new screen like the one with options settings. Once you headed to Mods menu, it will show you which mods you have installed correctly, or which one works or don’t. Also, it has the ability to inform you when your game crashes and it can give you a reason on what went wrong, whether the mod is installed correctly or not. Unfortunately, this mod is not compatible with Modloader, because they aren’t working together. You have to choose which one you want to use when you add mods into your Minecraft World. We recommend you that you install Minecraft Forge API on a clean version of Minecraft, if not, your game will not work properly and it may crash. Once you finished the installation of Minecraft Forge API, you’re able to install mods by using its installation instructions. Download the latest version of Forge from links below.